There’s an interesting English saying that goes something like this: An English soccer fan’s biggest regret is that Gareth Bale is Welsh. 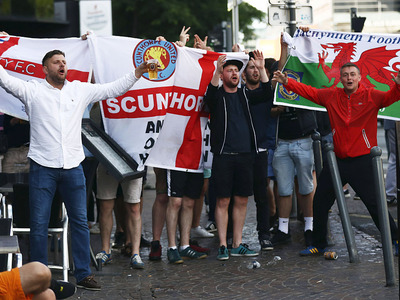 This only begins to describe the contentious relationship that the English and Welsh national teams have. It’s a rivalry that’s as old as time. In all seriousness though, England and Wales have been natural rivals since the game of soccer was invented in the late-19th Century. Obviously, the rivalry stems from the implied “big brother” status that England seems to have over Wales. But besides this, why would this meeting have such dramatic implications? Simply put, this is the biggest match that these nations have played against each other in many decades, maybe ever. Meeting in the European Championship only serves to add fuel to the fire that is this everlasting rivalry. Also, England will feel an absolute need to win the match since they tied with Russia in their first match while Wales beat Slovakia in theirs. This isn’t to say that Wales won’t feel an urgent need to beat England. In fact, they might even feel a greater need to do so. England and Wales haven’t met in a match in about 5 years. England won that match, which means that they have held the bragging rights over the head of Wales for all that time. Actually, it’s been even longer. Wales haven’t beaten England since 1984, which amounts to a 32-year wait for revenge and now their latest chance comes on one of the world’s biggest stages. Tomorrow’s match (9am EST, 11pm AEST, ESPN) from Lens, France promises to be action-packed, with two fully capable teams going head-to-head with the goal of earning three points. But to overlook the cultural ramifications of this game would be foolish and ludicrous, quite frankly.